Computing is an exciting and growing field in the age of the knowledge economy. Hong Kong’s computing and information technology sector is among the most advanced and competent in the world. Computing professionals make many contributions in fields such as banking, finance, logistics, trading and retailing. This programme is designed and coordinated by the Computing Programme Team of the School of Science and Technology. The Bachelor of Computing with Honours in Internet Technology programme is a four-year programme. Applicants can apply for admission to Year 1 or Senior Year. The programme aims to equip students with competencies in core computing areas. It comprises a suite of core courses that develop all-round knowledge of essential computing theories and practices. Final year students will enhance their advanced technical skills through courses in some current areas of specialization and a research/development project. Students in the programme are encouraged to participate in contests, training, seminars, and student society activities. The experience and knowledge gained will sharpen their competitiveness in the workplace. Graduates of this programme are prepared for a broad range of employment in the computing and information technology sector, including as software engineers, programmers, system analysts, and information technology officers. Graduates are also equipped to work as computing specialists in the commercial realm. Many of our graduates have realized that this programme has equipped them with sufficient practical techniques and academic training. 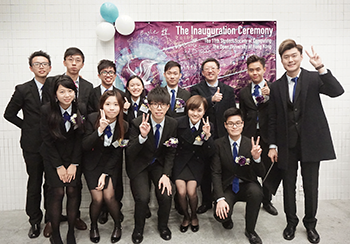 Major local employers have found OUHK computing graduates very competent and of good attitude.